These unscented and awesomely illustrated candles would set the mood for a fantastic Halloween night. The orange glow would make your house look really eerie. Not only that, the images printed on the candle glow in a spooky way when lit. Take a look at the different designs from By Candlelight 27 on Etsy. 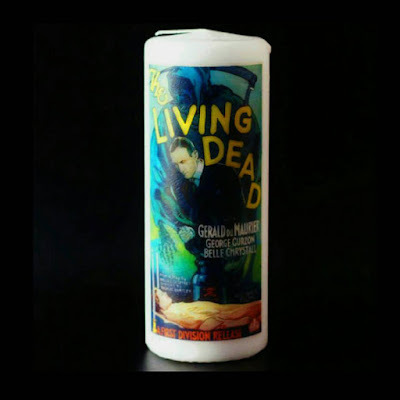 It's so cool that they made this The Living Dead film candle. Taking this classic poster and putting it on a candle would make for a more entertaining movie night. Unfortunately, I doubt the light would shine through the dark colors - maybe it would have been better as a black and white illustration. This is what I'm talking about! 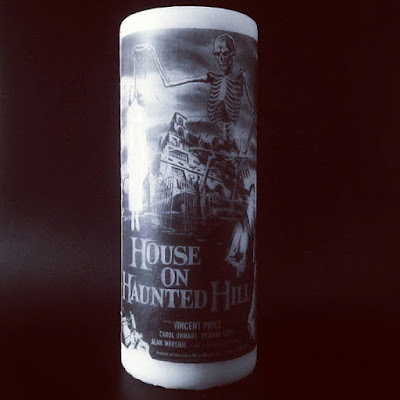 The House On Haunted Hill candle will come to life as you light the candle. I can already imagine the house glowing with the light shining through. That would make this candle extra creepy! 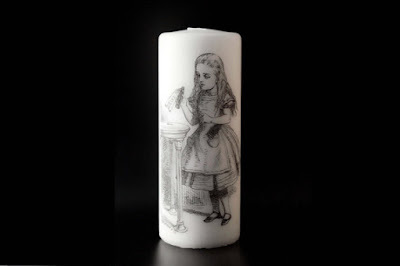 I personally think this Alice in Wonderland candle is a super ominous candle. It's a classic illustration from the book that most people will recognize. The "Drink Me" part of the book creeped me out because it could have been a bottle of poison! Plus, the story itself is full of strange and dark elements that is perfect for Halloween. Seeing a glowing skeleton always makes for an eerie setting, right? 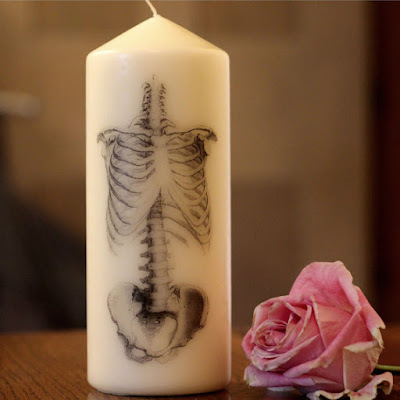 This skeleton candle is not only spooky, it's also very elegant. I love the light sketch artwork that was used, so the light easily shines through. 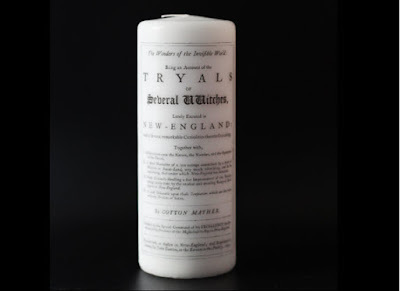 I can appreciate how different this Salem Witch Trial candle is. This was a scary period of time, especially for women! This is a cool gift idea for a history junkie. I would be tempted to just keep it on a bookshelf and never light it! There are plenty of horror themed candles from By Candlelight 27 on Etsy that you should check out. 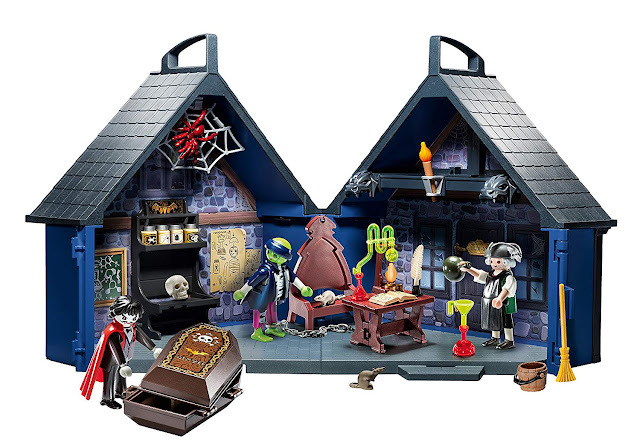 In fact, the store has more than just candles available that are really cool. 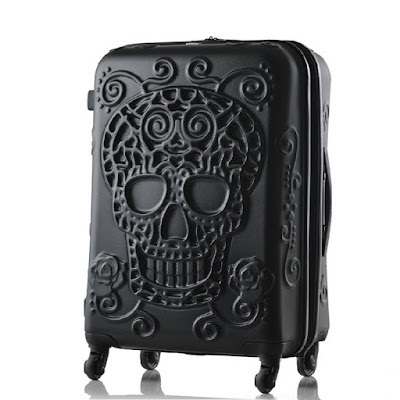 Take a peek and comment below on what you think!